5'2" - 5'6" 100-130 lbs 32 - 36" 28 - 31"
5'5" - 5'8" 125-160 lbs 36 - 40" 30 - 33"
5'7" - 6'0" 150-190 lbs 39 - 43" 32 - 35"
5'10" - 6'2" 180-205 lbs 42 - 46" 34 - 37"
6'1" - 6'4" 195-220 lbs 46 - 50" 36 - 40"
6'3" - 6'5" 215-230 lbs 49 - 52" 40 - 43"
Big folks know finding the right size in boating gear can be a bear. Designed for the "teddy bear" in your group, Grizzly wetsuit is extra roomy. 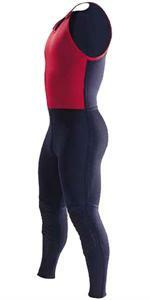 Cut large around the chest, waist, thighs and calves to fit even the biggest paddle sports enthusiast. The Ultra John Wetsuit defines "top of the line." 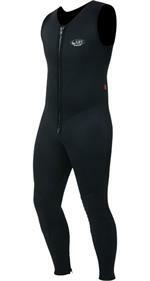 You won't find a more comfortable, durable or warmer 3mm sleeveless wetsuit anywhere. The exclusive VaporLoft lining eliminates clamminess and feels soft and warm against your skin. The little brother of our best selling Farmer John, the Shorty Wetsuit combines warmth and mobility for those warm weather, cold water days. 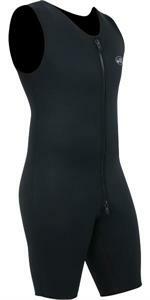 Featuring a full-length, double-pull front zipper for ease of entry and relief. 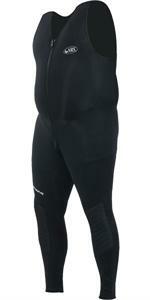 The fuller version of the Standard Shorty Wetsuit. Built larger around the chest and waist. The Shorty Wetsuit combines warmth and mobility for those warm weather, cold water days.3mm neoprene retains core body heat and offers cushioning. The little sister of our best selling Farmer Jane, the Shorty Wetsuit combines warmth and mobility for those warm weather, cold water days. 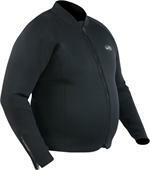 2mm neoprene retains core body heat and offers cushioning. 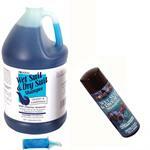 Leaves neoprene articles free of organic residue, chlorine and salt deposits. Chlorine-removing agents and conditioners help prevent premature aging and oxidation. 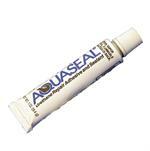 The industry standard for maxium strength repair to wetsuits, drysuits, and all water sport products. 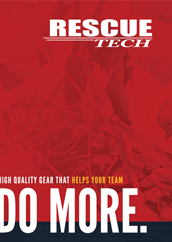 Flexible urethane formula waterproofs, seals and protects against abrasion.